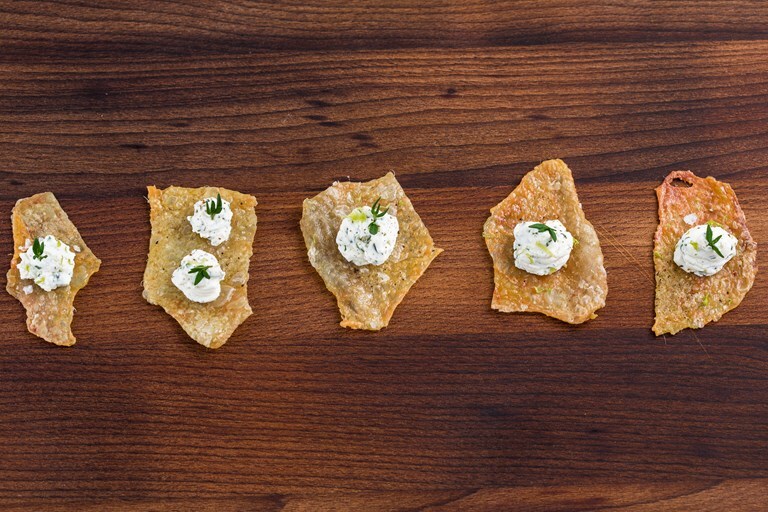 This chicken skin canapé recipe is a work of pure genius. Taking arguably the best bit of the bird – the golden, crispy skin – and combining it with classic roast chicken flavours of thyme and lemon makes a unique and utterly addictive canapé for your next dinner party. If you're short on time, feel free to buy some good quality ricotta instead of making it from scratch.